You can see my selected answer. Coffee? Heck naw. The profiler also asks how you feel about salt, citrus, berries, earthy flavors (like mushrooms or truffles), and how adventurous you are in general. Then it offers you a selection of wines they feel will suit your palate. The Club W site is very simple; perhaps a bit too simple for some. It took some figuring out (and a chat with support) to really understand how they do things; if you get promotional items for free (such as the free bottle when signing up with an affiliate link, like my one above) you get a number of credits in your account equal to the dollar value — so if you get a free bottle, you’ll get 13 credits in your account. Nowhere on the site does it state that a credit equals a dollar, and in this world of things like Xbox Points and such (What kind of exchange rate is 80 Xbox points to the dollar, anyway?) you never really know what a credit means. Anyhoo, I got my 13 credits, placed my order, the credits were applied, and a week later my order shipped. 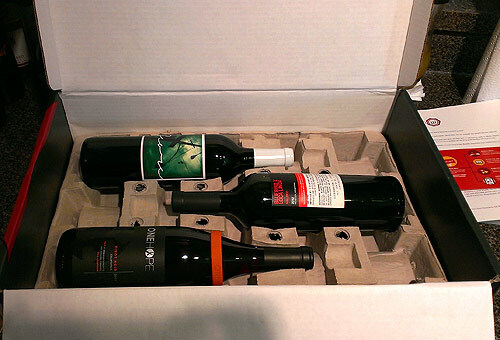 All told, it took about two weeks to get the wine — I ordered on the 14th, my order shipped on the 20th, and it arrived on the 27th. It appears that they process orders twice a month, on the 1st and the 15th, so I just got in under the wire for the processing on the 15th. It takes a little longer because they ship climate-controlled, which is nice. I’ll take the longer ship time to avoid boiling my wine here in Florida. If you need to skip a month, they make that easy. There’s a big “Skip a Month” button on your account page. Onward, to the shipment and the wines! 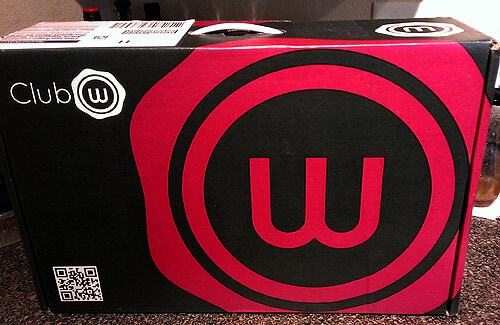 My order arrived in a really nice box with a handle — easy-peasy to carry. There’s a huge sticker on the side that you need someone 21 or over to sign for the package; since we weren’t home, it was delivered to the office at our complex, so all was good. They’re all 21 there. 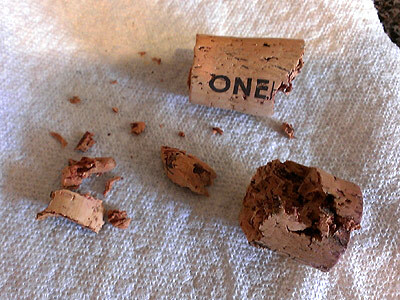 One Hope Pinot Noir (2011, California) – This was a really good Pinot Noir. Not quite as good as the MacMurray, but good enough to rate a close second. I’d definitely buy another bottle. Loca Linda x Bluebird Malbec (2012, Argentina) – My first Malbec, and I really, really liked it. It was soft and fruity enough that I’d compare it more to the red blends. There’s only one glass left in the bottle right now as I write, and that makes me really sad. But now I know that there’s a whole new world of Malbec out there to try. Score Red Blend (2011, California) – The Club W site advertises this one as “a jelly doughnut in a glass”. It isn’t the smoothest of all of the red blends I’ve tried, but it’s still pretty tasty. Maybe just a splash too heavy on the tannins, but totally drinkable — I’ll give it 4 stars on the Club W site. Overall, I’m glad I joined, and I’ll be getting more wine from Club W. Although I may only go every other month, and then supplement with cheaper stuff from the grocery store or Total Wine in between. They have a lot of good things going for them — quality wines, the palate profiler, an easy ordering system, and really nice support people. The cons? Well, the big rub is that you likely won’t be able to find the wines you like anywhere else. Now that I’m almost done with this bottle of Malbec, I’ve looked online to see where I can find it … and it’s just not available anywhere near me. It was a limited run. So you do run the chance of falling in love with a wine, then never being able to get it again. Although the other two wines from my box, One Hope and Score, are still available through Club W, so I could stock up on extra bottles of those. 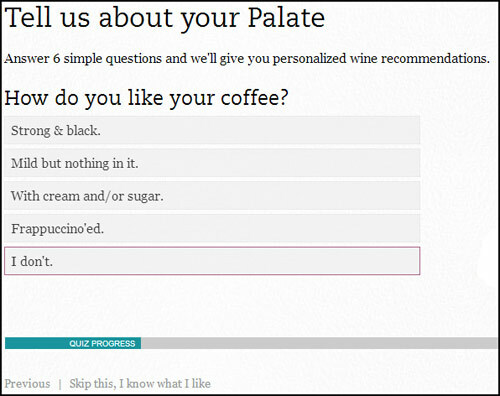 Still, it’s free to sign up and poke around and take the palate profile, so why not head over and see what they’re all about?